First of all, congrats on the new home! Even if you are just in the early planning stages of home construction, it is a very exciting time with lots of choices to be made. One thing to consider is that the design of your outdoor area is just as important as your indoor space. Wouldn't it be great to have a brand new swimming pool in your backyard, ready to enjoy as soon as you move into your new house? With so many decisions ahead of you, it may be hard not to feel overwhelmed. 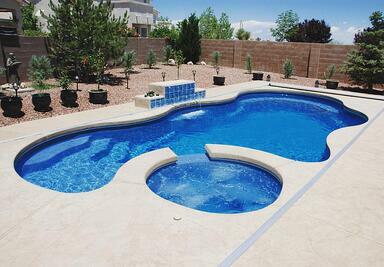 Let us help with these useful tips, tricks and other information you should know about new pool construction. You don't want to leave anything to chance when it comes to your dream home, so we have written this e-book to help you understand how building your pool and your home at the same time can actually benefit you. To receive this free resource for yourself, simply fill out and submit the form below. The e-book will be delivered directly to your inbox.